Every day our brave young men and women–over 29,000 to date–are returning home from Iraq and Afghanistan having been severely wounded in combat. They and their loved ones face months of physical, emotional and financial challenges ahead of them. AMVETS’ motto, “Veterans Helping Veterans” truly demonstrates the spirit of our new Healing Heroes Program. The government provides for all of the medical expenses for treating our wounded warriors and provides limited support for the spouse, children or parent of a single serviceman or woman. However, many spend months recuperating and receiving therapy in polytrauma centers far from their homes. Financial assistance to help their entire family unit spend some precious time together just does not exist. AMVETS’ Healing Heroes Program will address this very real need immediately. One hundred percent of your contributions received for this program would be spent to benefit the veteran families! AMVETS National Service Foundation’s Healing Heroes Program will help our wounded veterans, as they recuperate, and their families by providing monetary assistance with transportation, lodging, food and child care costs. To create this program, you can imagine that a significant amount of money will need to be raised to make an impact on our deserving veterans. But, I strongly believe that with your generous financial support we can truly make a difference. Your support will help comfort our wounded heroes and their families during this difficult time. As you know, the cost of serving veterans and their families does not go away. We hope for your continued support in the future. Without your support, our veterans would face a far more difficult and uncertain future. It is important when making a donation to our Healing Heroes Program that you notate “Healing Heroes” on the check or via e-mail if donating online, so that 100% of your contribution goes to the veterans and their families. Please feel free to contact Karla Lathroum, National Programs Director at (301)683-4027 or Toll Free at (877) 726-8387 with any questions or for further information on this program. We thank you and salute you for your commitment and financial support on behalf of our nation’s healing heroes. We could not do this without you! 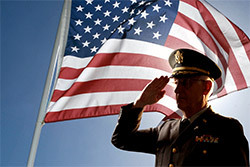 Here at AMVETS NSF every day of the year is Veterans Day! Our Ambassadors have each donated $500 or more to our Healing Heroes Program. Allied Veterans of the World, Inc.